Just click the link below to access the list. 2014-15 -SCALE II TO III ZONEWISE POSTINGS RELEASED- LIST OF CANDIDATES TO CHENNAI ZONE. Zonal Offices are advised to finalize the names of candidates for allotment to various Regions within their Zones on 02.06.2014 itself, after considering Inter–Region Request Transfers wherever applicable. Region wise allotment shall be conveyed to concerned ROs on 02.06.2014 evening by mail. ROs on receiving the allotments list from Zonal Offices on 02.06.2014 evening will finalize branchwise allotment on 03.06.2014 and issue orders to these officers on 3rd June evening and convey it to the concerned officers by mail (confirming by calling over phone) at their present placement with a copy to concerned Regional Office with instructions to report at their advised place of posting on 09.06.2014 positively. It shall be ensured by both the Regional Managers i.e. from where officers are to be relieved and Regions where officers are reporting that concerned officers shall report to respective branches/offices on 09.06.2014 and not to controlling offices. The promotional orders for the following officers empanelled for promotion in the promotion processes held for 2014-15 have been released. The effective date of promotion will be 01.06.2014. LATERAL TRANSFER OF MMG SCALE III OFFICERS WHO ARE EMPANELLED FOR PROMOTION TO SMG SCALE IV. The result of Promotion Process from MMG Scale III to SMG Scale IV – Mainstream (2014-2015) is declared. All the Officers are advised to report at their respective Zonal Offices on 02.06.2014 for their further placement in the Zone. The promotion of these Empanelled Officers to Scale IV will be released as and when vacancy arises during 2014-2015. Till such time, they shall continue to be in the existing Scale i.e. MMG Scale III. We reproduce herewith the list of Successful candidates promoted from Scl1 to Scl2 under normal and written test channel in Chennai Zone for our viewers. 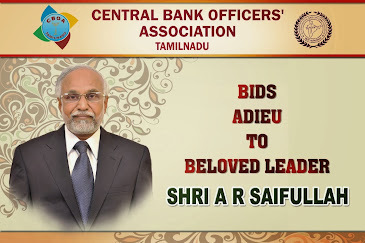 CBOA Tamilnadu wishes all the best to all the promotee officers. Our Best wishes to all the officers. Central Office declared the list of successful candidates in the written test recently held on 04.05.2014 in Specialist Category. The date of Interview is 23/05/2014. 1. Given poor asset quality and low productivity, either privatize PSU banks or transform governance structure to make them efficient. 2. Reduce government stake in PSU banks to less than 50 percent. 4. Improve quality of PSU bank board discussions; focus on key areas like business strategy, financial reports, risk, and compliance. 8. Ownership functions to be transferred by BIC to the bank boards. 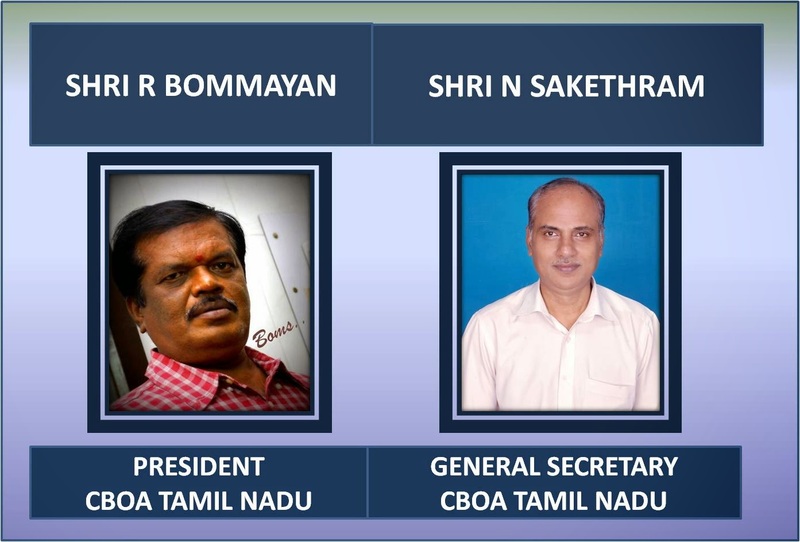 Appointments of directors, CEO to be the responsibility of bank boards. 9. Have uniform bank licensing regime across all broad-based banks, and niche licenses for banks with more narrowly defined businesses. 10. Allow mutual funds , pension funds, PE funds to hold 20 percent in private sector banks, without having to take RBI approval. Central Office Released the list of Officers promoted from Senior Management Grade Scale V to Scale VI and the following officer is declared promoted to ScaleVI from 12th May 2014. Further, the following are the names of the officers who are empanelled for promotion to TEG grade scale VI as per inter-se merit. However, the promotion of these officers shall be released as per the same order as and when vacancies arise, but during the financial year 2014-15.